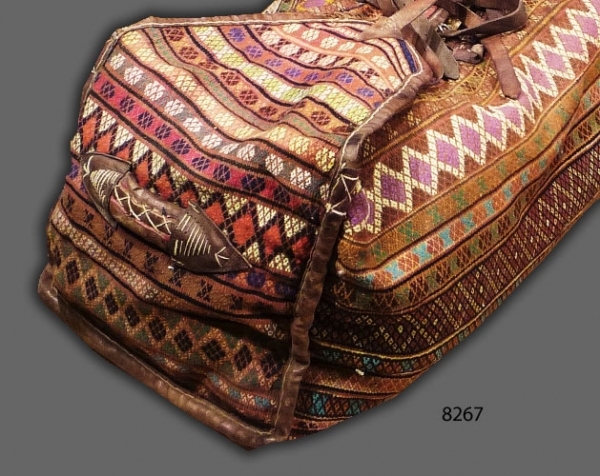 Mafrash (bedding-bag), Gashgai tribes, Fars province, South-West Persia. 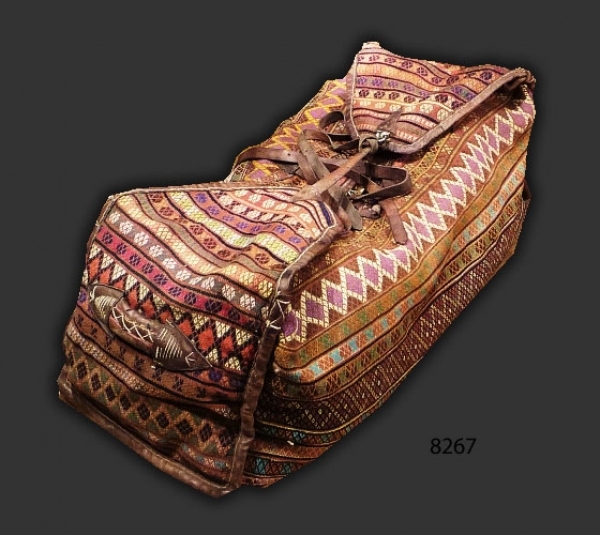 The Mafrash is a woven bag in the form of a box comprising two parallel long sides joined by a base and two shorter end panels. Once filed with bedding, the top is strapped across to prevent the content from falling. Nothing similar is woven today by the tribes, particularly when they can visit the nearest bazaar and purchase plastic bags and sacks a much simpler and quicker option than weaving. Circa 1910.